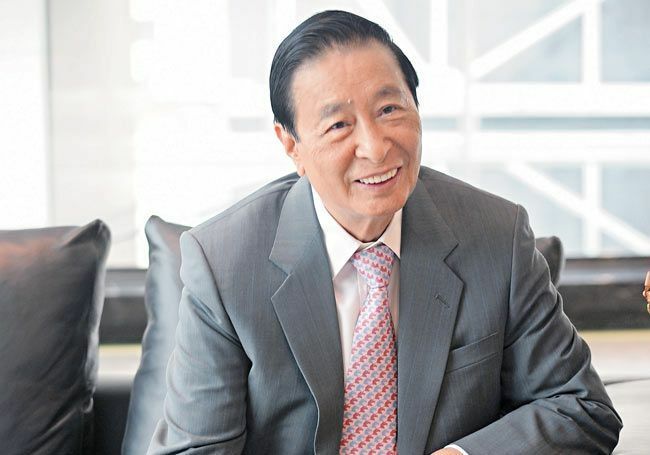 At 91 years old, Lee Shau-kee has announced that he will step down from his long-time position as chairman and managing director of Henderson Land Development, one of the city’s largest property developers. He plans to pass the reins to his two sons—Peter Lee Ka Kit and Martin Lee Ka-shing. Lee Shau-kee is the founder, chairman and managing director of Henderson Land Development, chairman of The Hong Kong and China Gas Company, vice-chairman of Sun Hung Kai Properties and a non-executive director of Hong Kong Ferry Holdings. According to Forbes, he has a net worth of US$30 billion (HK$235.4 billion), making him the second richest man in Hong Kong. In 2017 alone, Lee Shau-kee's net worth jumped US$9.3 billion, or 39%—the most money made that year out of all of Hong Kong's tycoons. Once he retires, he will be handing the business over to his two sons; Martin and Peter. Lee Shau-kee was born into a small merchant’s family in Shunde in Guandong Province. When he came to Hong Kong as a young man, around 20 years old, he had less than HK$1,000 in his pocket. He has been quoted saying, "Save your first bucket of gold… then use it for investments." Despite the incredible fortune and legacy he has built for himself, Lee remains humble and incredibly generous—in 2015 when his seventh grandchild was born to his younger son, Martin, Lee famously handed out HK$15m in lai see money to staff and friends. Lee Shau-kee is a well known supporter of education. In 2007 he gave the University of Hong Kong HK$500m and Hong Kong University of Science and Technology HK$400m, while two years earlier the Chinese University of Hong Kong received HK$50m. In 2018, he pledged to donate a further HK$110m to support the general development of the Chinese University of Hong Kong. Also in 2005, he set up the Warmth Project, an RMB330m programme in mainland China that has trained a million farmers and 10,000 village doctors. In a move that must have hurt for a property developer, in 2015 he gave away a big chunk of land to house Hong Kong's biggest youth hostel in Yuen Long. In 2007, Lee received Hong Kong's highest honour, the Grand Bauhinia Medal. The medal—which features Hong Kong’s emblem of the Bauhinia orchid flower at its centre—recognises members of society from all walks of life for their dedication to public service or significant contributions to the city. After 26 years of living in a cosy apartment in Eva Court on Macdonnell Road—which Lee built and named after his ex wife—it wasn’t until Lee turned 82 in 2010 that he decided it was finally time for an upgrade. Lee and his family family spent a cool HK$1.82 billion for a plot of land on The Peak to build their dream home. At HK$68,229 per square foot, 35 Barker Road was the most expensive residential site in the world at the time on a per square foot basis. Lee Shau-kee Real estate tycoon; founder, chairman and managing director of Henderson Land Development. Martin Lee Vice-chairman of Henderson Land Development, chairman and CEO of Miramar Hotel & Investment. Peter Lee Vice-chairman of Henderson Land Development and Henderson Investment; eldest son of Lee Shau-kee.